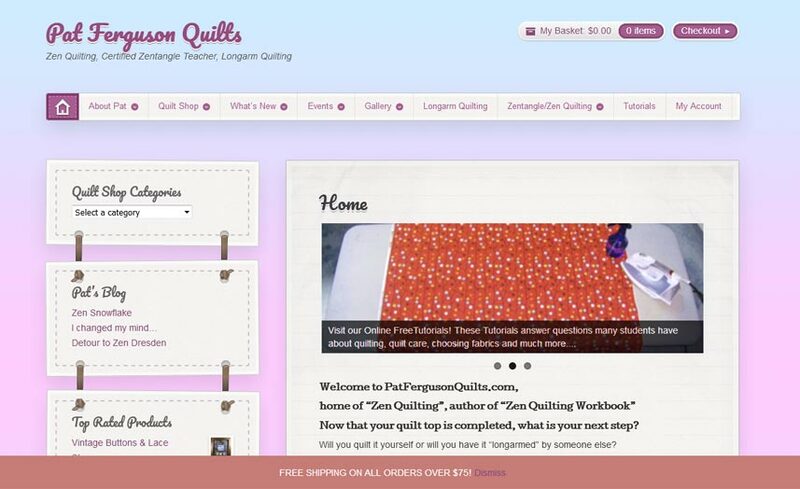 Pat came to me in 2014, after I created the Narragansett Bay Quilters’ Association site. She had been using a complicated shopping cart that a programmer set up for her. Unfortunately, it was expensive, hard-to-use, and less than intuitive for her customers. It also didn’t look so hot… She was losing sales, and visibility. Integrate important functionalities such as email list, sale items, coupons, and custom shipping settings. WordPress used to be only a blogging tool. Now, with the integration of WooCommerce, it is a full-fledged shopping cart environment as well. I worked with Pat to explore all of the options available, and make decisions regarding product images, sizes, guidelines for entering items, and more. We settled on the right platform, got a custom site up with unique, fun design details to make her stand out, and the new site was born. Years later, a few updates a year keep it tip-top shape, and it is still working away for Pat.